Former Seven Days food editor Suzanne Podhaizer is closing her Montpelier restaurant, Salt, just weeks short of its fifth anniversary. The final dinner will be served on November 14. Podhaizer says the last two weeks of Friday and Saturday dinners at the tiny Barre Street restaurant will offer a bittersweet take on its longtime biweekly themes: a menu of greatest hits from the past half decade. Podhaizer is still deciding on the details, but one item sure to be on offer is goose from Gozzard City, the farm she shares with Wesley Bascom. That farm and her other food ventures bear partial responsibility for Salt's demise. The overextended Podhaizer, who became her restaurant's chef last September, also works as a culinary consultant. She'll speak for the second time this year at New York's prestigious Stone Barns Center for Food & Agriculture, on December 4. Podhaizer says she believes her strict food ethics may have made Salt difficult to sustain. "I'm not sure the way I want to be in the restaurant business is the most viable way to be in the restaurant business," she admits of her policy of using only local, ethically sourced products in her cuisine. With Salt gone, Helen Labun Jordan will continue to offer takeout at Hel's Kitchen, her pop-up that moved into the space in August. Jordan will switch to Tuesday through Friday hours, leaving herself room to host other culinary events on the weekend, says Podhaizer. Stowe is taco-poor once more. Former Frida's Taqueria owners Jack Pickett and Josh Bard have closed their follow-up restaurant, Phoenix Table & Bar. The sleek pan-American spot ended its life on October 21 with a night of $1 oysters and half-price drinks. Elsewhere in town, Cork Wine Bar & Market of Stowe is nearing the end of its first month in business. The shop — the second from the owners of Waterbury's Cork Wine Bar & Market — is part market, part wine bar. 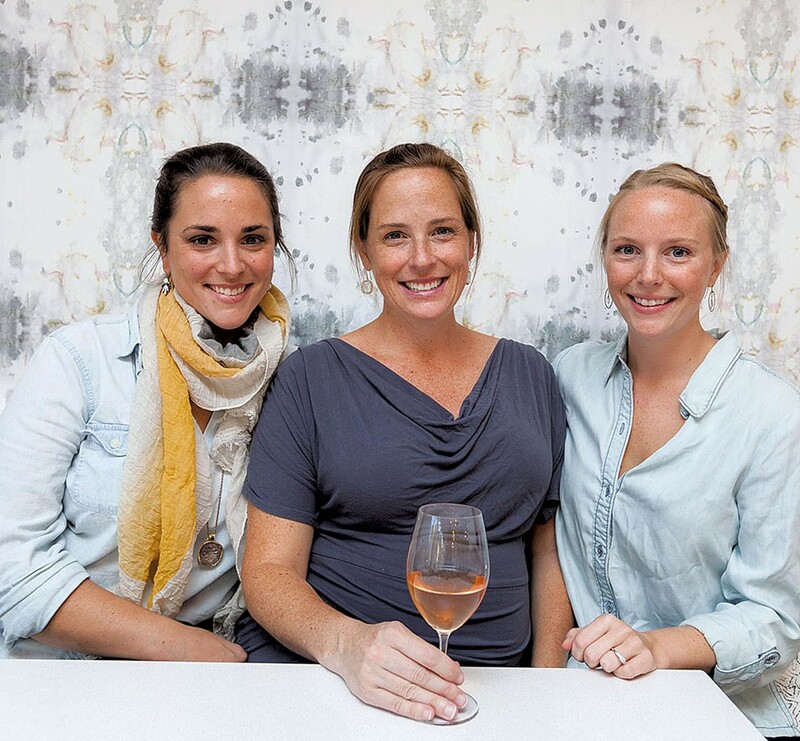 It stocks one of Vermont's largest selections of natural wines — small-batch, artisan wines produced with minimal processing — according to wine director Katie Nichols, who runs the store with sisters Morgan and Danielle Nichols. Many of these are among the bar's 15 to 20 wines available by the glass. Cork also pours several local beers on draft and offers a menu of small plates and snacks — mussels, soups, pâtés, cheeses and charcuterie — for pairing. It's open daily from noon to 10 p.m. or later. Paine Mtn. Brewing fans have just a few days to head to the Northfield brewery for a final pint or growler fill. After closing the next-door Knotty Shamrock Irish pub back in August, brewery owner Kevin Pecor announced via Facebook last week that his brewery, which opened in December 2014, would close this Friday, October 30. He cited "uncontrollable circumstances and personal health matters." In the note, Pecor — who also works as a systems analyst for the State of Vermont — noted that he lacked the "necessary energy or time needed to fully vest my focus to push and promote" Paine Mtn. beers in Vermont's competitive market. Neither Pecor nor other brewery staff responded to repeated requests for comment. Paine Mtn. wasn't the only Vermont beer business to collapse this month beneath the weight of a crowded market. Despite drawing crowds for weekly deliveries of the Alchemist's Heady Topper, Williston's Beer Palate "just never gained the traction it needed" to stay profitable, owner Brian Frary tells Seven Days. Though Friday, October 23, was his last official day in business, Frary says he'll be at the Taft Corners shop this week cleaning and selling off what's left of his inventory. A wise man once said: "When one Vermont beer shop closes, another opens." Or did he? Either way, the folks behind Morrisville's 10 Railroad Street and Stowe's the Blue Donkey opened the Mo'Vegas Fill Station in Morrisville last Saturday. Situated behind 10 Railroad Street in the restaurant's former event space, the shop pours growlers from 12 draft lines. Current local drafts include ciders from Citizen Cider and Champlain Orchards and suds from Long Trail Brewing and Drop-In Brewing, while coolers hold bottles and cans from dozens of other local breweries, says Fill Station general manager Brian Cassino. He's also head chef at both restaurants, which are co-owned by Jim Goldsmith and Kim Kaufman. The shop — which is open daily from noon to 8 p.m. — also slings local cheeses, charcuterie, crackers, fresh cider, loaves of Elmore Mountain Bread and fine cigars from a walk-in humidor. If the business goes well, Cassino says, he hopes to add a private smoking lounge for cigar customers. The original print version of this article was headlined "Entrées & Exits"